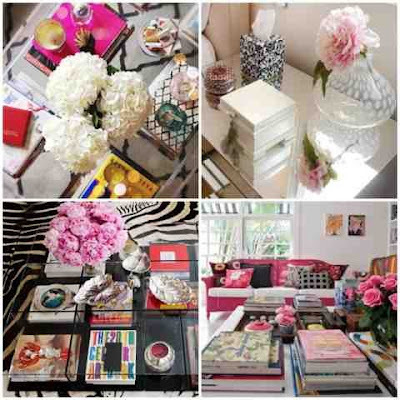 I love walking into a living room/lounge and casting my eyes on a beautifully decorated coffee table or book case. 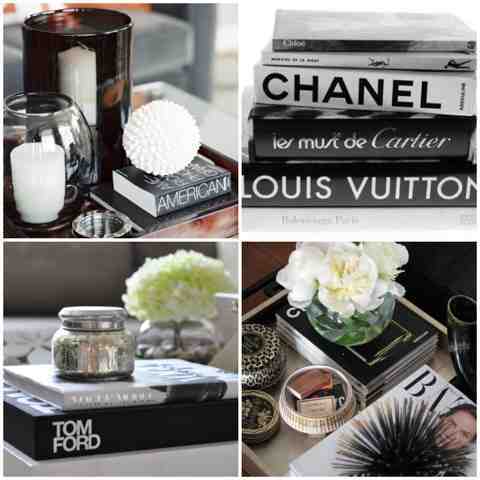 Decorating furniture with books and accessories is something that I have admired for quite a while now I think its a wonderful way to display things without them looking cluttered. I often find myself adding arrange and re-arranging again!! my favourite knickknacks & trinkets I have gained over the years and collected form my travels. I think we have become so caught up with this hole minimalistic look the Less is More approach that rooms can start to become a little bland and boring with not much character. you can find out so much about a person form the books they read and the ornaments they display through out their home. 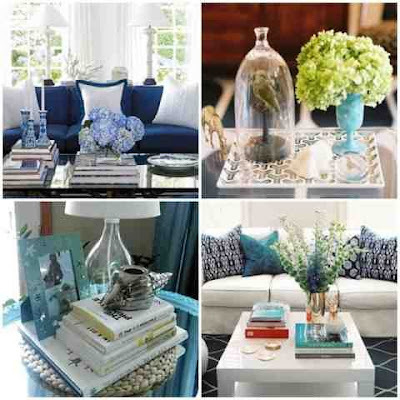 Above are a few photos of the many ways you can decorate tables making them look fresh and interesting. How do you display your knickknacks trinkets and favourite books?